Quantum mechanical interactions among gluons may trigger patterns that mimic formation of quark-gluon plasma in small-particle collisions at RHIC. 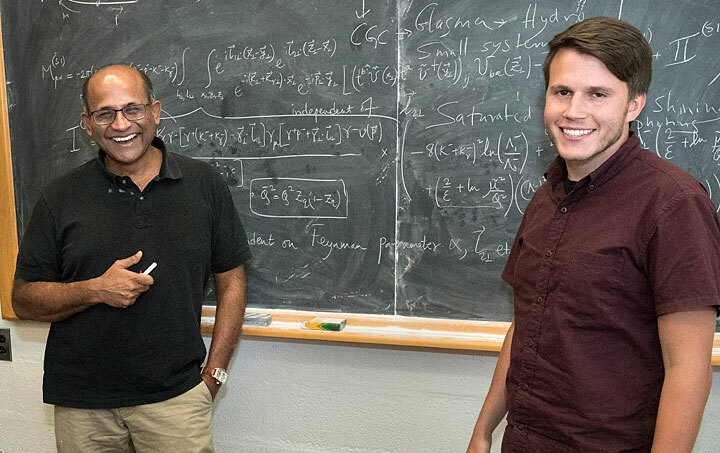 Raju Venugopalan and Mark Mace, two members of a collaboration that maintains quantum mechanical interactions among gluons are the dominant factor creating particle flow patterns observed in collisions of small projectiles with gold nuclei at the Relativistic Heavy Ion Collider (RHIC). A group of physicists analyzing the patterns of particles emerging from collisions of small projectiles with large nuclei at the Relativistic Heavy Ion Collider (RHIC) say these patterns are triggered by quantum mechanical interactions among gluons, the glue-like particles that hold together the building blocks of the projectiles and nuclei. This explanation differs from that given by physicists running the PHENIX experiment at RHIC—a U.S. Department of Energy Office of Science user facility for nuclear physics research at DOE’s Brookhaven National Laboratory. 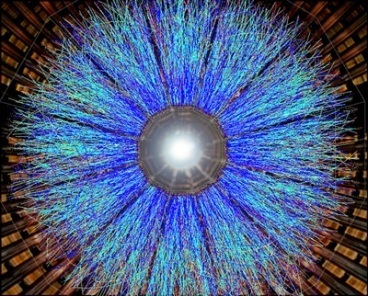 The PHENIX collaboration describes the patterns as a telltale sign that the small particles are creating tiny drops of quark-gluon plasma, a soup of visible matter’s fundamental building blocks. 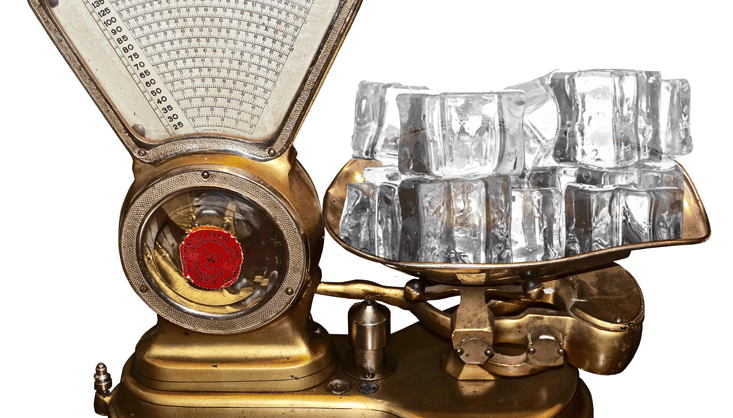 The scientific debate has set the stage for discussions that will take place among experimentalists and theorists in early 2019. “This back-and-forth process of comparison between measurements, predictions, and explanations is an essential step on the path to new discoveries—as the RHIC program has demonstrated throughout its successful 18 years of operation,” said Berndt Mueller, Brookhaven’s Associate Laboratory Director for Nuclear and Particle Physics, who has convened the special workshop for experimentalists and theorists, which will take place at Rice University in Houston, March 15-17, 2019. The data come from collisions between small projectiles (single protons, two-particle deuterons, and three-particle helium-3 nuclei) with large gold nuclei “targets” moving in the opposite direction at nearly the speed of light at RHIC. The PHENIX team tracked particles produced in these collisions and detected distinct correlations among particles emerging in elliptical and triangular patterns. Their measurements were in good agreement with particle patterns predicted by models describing the hydrodynamic behavior of a nearly perfect fluid quark-gluon plasma (QGP), which relate these patterns to the initial geometric shapes of the projectiles (for details, see this press release and the associated paper published in Nature Physics). But former Stony Brook University (SBU) Ph.D. student Mark Mace, his advisor Raju Venugopalan of Brookhaven Lab and an adjunct professor at SBU, and their collaborators question the PHENIX interpretation, attributing the observed particle patterns instead to quantum mechanical interactions among gluons. They present their interpretation of the results at RHIC and also results from collisions of protons with lead ions at Europe’s Large Hadron Collider in two papers published recently in Physical Review Letters and Physics Letters B, respectively, showing that their model also finds good agreement with the data. Gluons are the force carriers that bind quarks—the fundamental building blocks of visible matter—to form protons, neutrons, and therefore the nuclei of atoms. When these composite particles are accelerated to high energy, the gluons are postulated to proliferate and dominate their internal structure. These fast-moving “walls” of gluons—sometimes called a “color glass condensate,” named for the “color” charge carried by the gluons—play an important role in the early stages of interaction when a collision takes place. “The concept of the color glass condensate helped us understand how the many quarks and gluons that make up large nuclei such as gold become the quark-gluon plasma when these particles collide at RHIC,” Venugopalan said. Models that assume a dominant role of color glass condensate as the initial state of matter in these collisions, with hydrodynamics playing a larger role in the final state, extract the viscosity of the QGP as near the lower limit allowed for a theoretical ideal fluid. Indeed, this is the property that led to the characterization of RHIC’s QGP as a nearly “perfect” liquid. But as the number of particles involved in a collision decreases, Venugopalan said, the contribution from hydrodynamics should get smaller too. “In large collision systems, such as gold-gold, the interacting coherent gluons in the color glass initial state decay into particle-like gluons that have time to scatter strongly amongst each other to form the hydrodynamic QGP fluid—before the particles stream off to the detectors,” Venugopalan said. But at the level of just a few quarks and gluons interacting, as when smaller particles collide with gold nuclei, the system has less time to build up the hydrodynamic response. Among these well-known quantum correlations are the effects of the electric color charges and fields generated by the gluons in the nucleus, which can give a small particle strongly directed kicks when it collides with a larger nucleus, Venugopalan said. According to the analysis the team presents in the two published papers, the distribution of these deflections aligns well with the particle flow patterns measured by PHENIX. That lends support to the idea that these quirky quantum interactions among gluons are sufficient to produce the particle flow patterns observed in the small systems without the formation of QGP. Such shifts to quantum quirkiness at the small scale are not uncommon, Venugopalan said. The answers might be relevant to understanding what happens in ultracold atomic gases—and may even hold lessons for quantum information science and fundamental issues governing the construction of quantum computers, Venugopalan said. The nuclear physics theory work and the operation of RHIC at Brookhaven Lab are supported by the DOE Office of Science. Collaborators on this work include: Mark Mace (now a post-doc at the University of Jyväskylä), Vladimir V. Skokov (RIKEN-BNL Research Center at Brookhaven Lab and North Carolina State University), and Prithwish Tribedy (Brookhaven Lab). This partly answers our first question. Our cube of ice consists of molecules of H2O organized in a regular array. We can also make a start on our second question. Avogadro’s law states that a mole of chemical substance will contain about 6 × 10^23 discrete “particles.” Now, we can interpret a mole of substance simply as its molecular weight scaled up to gram quantities. Hydrogen (in the form of H2) has a relative molecular weight of 2, implying that each hydrogen atom has a relative atomic weight of 1. Oxygen (O2) has a relative molecular weight of 32, implying that each oxygen atom has a relative atomic weight of 16. Water (H2O) therefore has a relative molecular weight of 2 × 1 + 16 = 18. 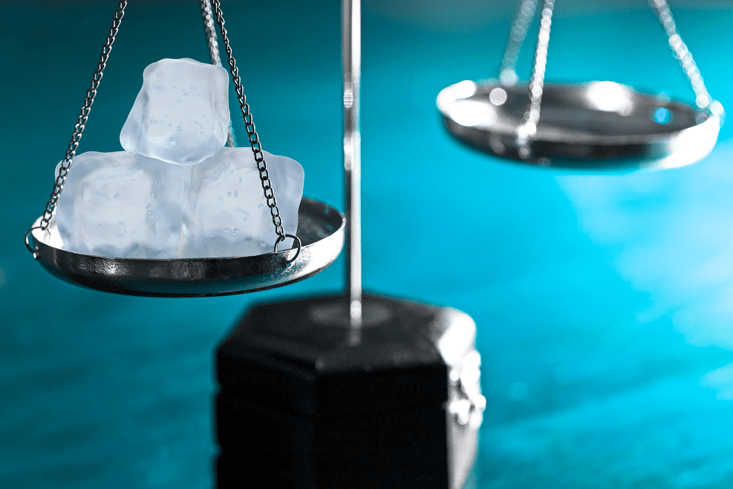 It so happens that our cube of ice weighs about 18 grams, which means that it represents a mole of water, more or less. According to Avogadro’s law it must therefore contain about 6 × 10^23 molecules of H2O. This would appear to provide a definitive answer to our second question. The mass of the cube of ice derives from the mass of the hydrogen and oxygen atoms present in 6 × 10^23 molecules of H2O. If we ignore the light electrons, then we would be tempted to claim that the mass of the cube of ice resides in all the protons and neutrons in the nuclei of its hydrogen and oxygen atoms. Each molecule of H2O contributes 10 protons and eight neutrons, so if there are 6 × 10^23 molecules in the cube and we ignore the small difference in mass between a proton and a neutron, we conclude that the cube contains in total about 18 times this figure, or 108 × 10^23 protons and neutrons. Okay, so surely we just keep going. If once again we approximate the masses of the up and down quarks as the same we just multiply by three and turn 108 × 10^23 protons and neutrons into 324 × 10^23 up and down quarks. We conclude that this is where all the mass resides. Yes? 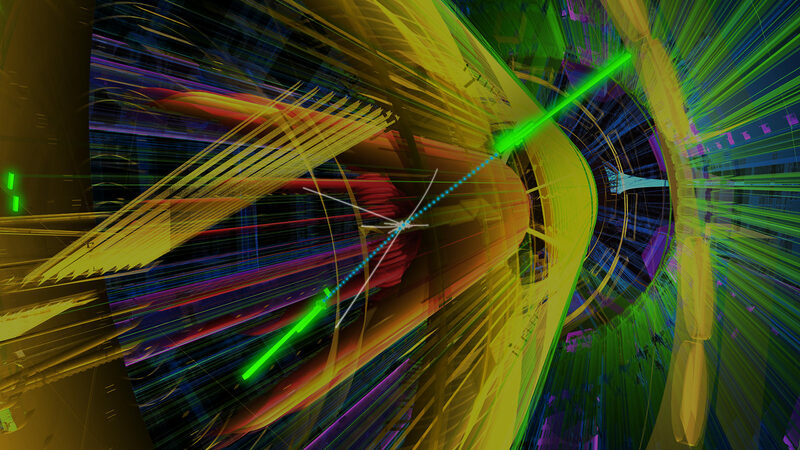 Tags: Applied Research & Technology ( 5,458 ), CERN LHC ( 232 ), Gluons, Quarks ( 18 ), Symmetry Magazine ( 324 ), What really hapens? The Large Hadron Collider is definitely large. With a 17-mile circumference, it is the biggest collider on the planet. But the latter fraction of its name is a little misleading. That’s because what collides in the LHC are the tiny pieces inside the hadrons, not the hadrons themselves. Hadrons are composite particles made up of quarks and gluons. 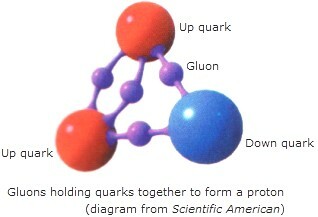 The gluons carry the strong force, which enables the quarks to stick together and binds them into a single particle.